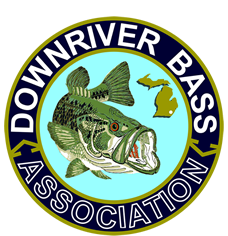 The fishing events are the core and focus of this organization. Their main purpose is to allow for a pleasant and friendly interaction in the pursuit of catching bass. The intention is to practice, develop and share skills and techniques in both the location and presentation aspects of bass fishing. We avoid the competition and stress of high stakes tournaments. The dates, locations, and times of events are published before the season and distributed to the members. The club typically has between10 and 12 fishing events per year. There is a balance of week day, Saturday and evening events. Partner pairings for each event are done by drawing so that members have a different partner for each event. This assures a different learning experience each time out. The club shares fishing information before, during, and after the event. At the meeting prior to the event, lake maps and likely successful techniques and locations for time of year on a given lake are discussed. During the events, information is shared from boat to boat using radios. At the lunch break, patterns are discussed in detail. At the next meeting after the event, successful patterns and locations are discussed. During events all bass are quickly measured for length and released on-the-spot. An especially large bass may be kept in a functioning livewell for showing to other members, or for later photographing. A personal trophy bass may be kept for mounting. In addition, boats must have all required Coast Guard safety equipment. Consumption of, or being under the influence of alcohol or drugs is not permitted during fishing events, or at meetings.